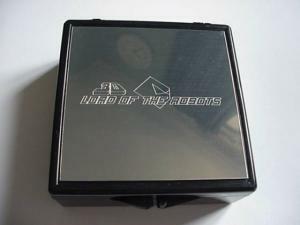 3D Lord of the Robots now available for the GCE/Milton Bradley Vectrex! 3D Lord of the Robots packaging for the GCE/Milton Bradley VectrexCan man survice on homebrew software alone these days? Thanks to a heads-up from Vectrex News, I found out that "3D Lord of the Robots" is now out of pre-order and available for purchase for $50, with worldwide shipping included. It's available here. After receiving "Spike's Circus" yesterday, I felt it was my "duty" to order this game too, which is among the first 3D specific-games released for the original 3D and new homebrew imagers with color wheels for the Vectrex since the original three games. A 2D version of the game for those without imagers is included on the same cartridge, all within a box with a neat, engraved metal lid. How I'll find time to get around to playing these is a different story, but I'll definitely try. Look for coverage of these Vectrex games in future issues of Armchair Arcade! 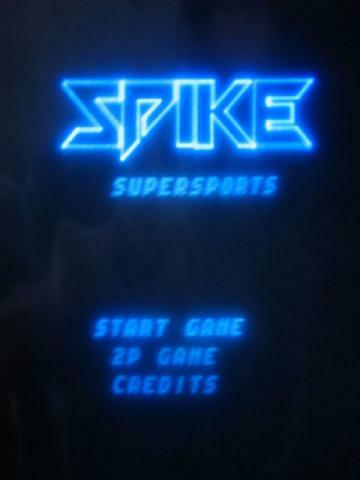 Spike Supersports Title Screen (Vectrex): Image from Martijn Wenting's developer blog...Or so goes the tagline to the blog, d3singer.com, which, despite the tiresome "leet-speak" (which I refuse to ever learn, thank you very much) in the title, is an intriguing development diary from Martijn Wenting of the Netherlands. I first "knew" of Martijn from frequenting his Vectrex News Website, which not only obviously provides news on one of the most unique videogame systems ever, the Vectrex, but also a plethora of related information and software tools for the highly collectible unit. Fairly recently he decided to document his software development activities in blog format, and, for those who wish to develop for classic systems or are just interested in programming or even classic systems in general, it's terribly fascinating. He's into everything from the Vectrex (natch) to the ColecoVision and MSX systems to the Atari 2600, GameBoy and beyond.